The Airport Diner, located on the runway at the Gillespie County Airport, is a dining experience not to be missed. 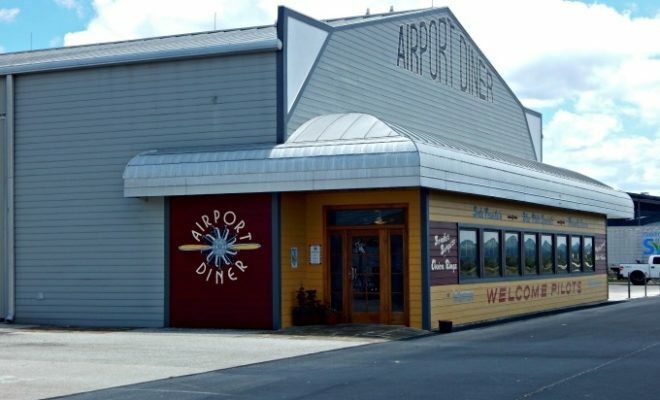 Built with a nod to diners of the 1940s and 50s, the Airport Diner excels at ambiance and back-to-basics cuisine. Enjoy breakfast all day or one of their famous “Blue Plate Specials” (just like mom used to make) while sitting in your booth, watching planes take off and land right outside your window. 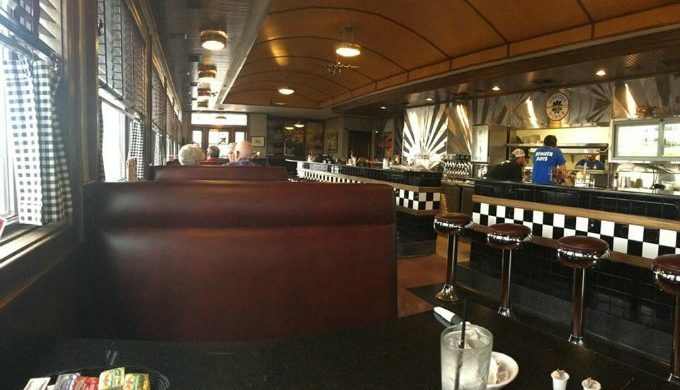 A visit to the Airport Diner is as much about creating a nostalgic experience as it is about filling a hungry belly. Designed after the railcar diners of the northeastern states, the Airport Diner features a curved ceiling of birch, trimmed in mahogany and offset by stainless walls and appliances. The floors are done in the lost art of terrazzo, which consists of the grinding and polishing of granite particles. Featuring countertops of black granite with soda fountain stools and booths in matching mahogany-colored fabric, you’ll feel like you stepped back in time the second you walk in the door. 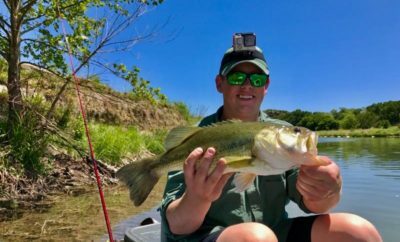 Menu standouts include the appropriately named, “P-40 Warhawk,” featuring Fredericksburg’s own Opa’s sausage with grilled onions, grilled mushrooms, bacon and melted cheese on a grilled hoagie roll. Or enjoy the equally popular, “Bomber Burger.” No matter what you decide upon, there’s something on the menu to please everyone at your booth. 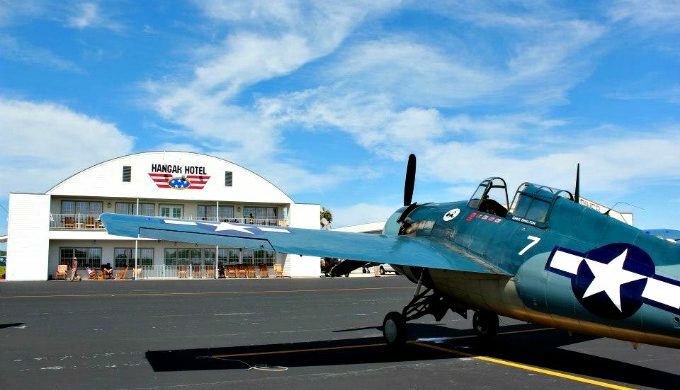 Located next door to the diner is the Hangar Hotel, a modern hotel, designed and decorated in a 1940’s World War II/South Pacific theme. 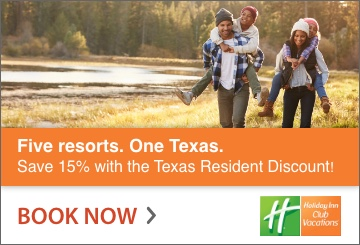 Guests enjoy all of the modern amenities of a conventional hotel with added bonuses like a decked-out “Officers Club,” complete with fireplace and leather furniture.